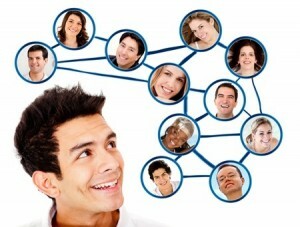 Social networking is an important part of finding a job. Disclaimer: Social networking is not a substitute for attending social events, talking with others on the phone, or having lunch with someone. To me there is no question of the growing importance of social networking for people in transition who are looking for their next career stop. However, for many middle-aged people, social networking may be something new and not something they’re right now ready to jump into with both feet in their current predicament. And that’s a shame, because employers and recruiters use it as a selection and validation tool for their prospects. So, let’s review some of the advantages job seekers can gain by using the phenomenon of social media. It is a screening tool. You can learn about others before you decide to invest your time and energy in the development of a relationship. You can find out if the other person is compatible with you or has the right connections, experience, and knowledge in your industry. Using social media is less frightening. Some people have problems in cold calling someone and asking for a favor, especially when unemployed. Initiating a dialogue with someone you’ve lost contact with for years can be intimidating, but taking that first step via social media makes the reconnection more palatable. It is efficient and convenient. You can conduct a large number of dialogues with many people from your kitchen table without having to waste time driving somewhere. You can network 24 hours a day worldwide, because the Internet never closes and because your online profile can be viewed by anyone anywhere in the world. It is a great opportunity to exhibit your skills and talent. Using social media shows potential employers that you are up to speed and up-to-date and know how to use social media effectively. That serves to differentiate you from others. It is a tool for setting up an in-person meeting. Many people connect initially via the Internet, and once both parties are ready, they meet in person. It shows off your brand. Again, this is another differentiator that highlights your selling points, expertises, and talents. It provides a vehicle whereby to participate even if you have physical challenges such as mobility issues or you are not local. Learning about social media is a challenge by itself, and the navigation changes frequently. Those in transition who are not ready to meet the challenge by learning how to use social media and then updating themselves on the changing features put themselves at great disadvantage. This entry was posted in Interviewing skills, Social media and tagged Facebook, LinkedIn. Twitter, Pintrest, social media on July 12, 2015 by Alex Freund.